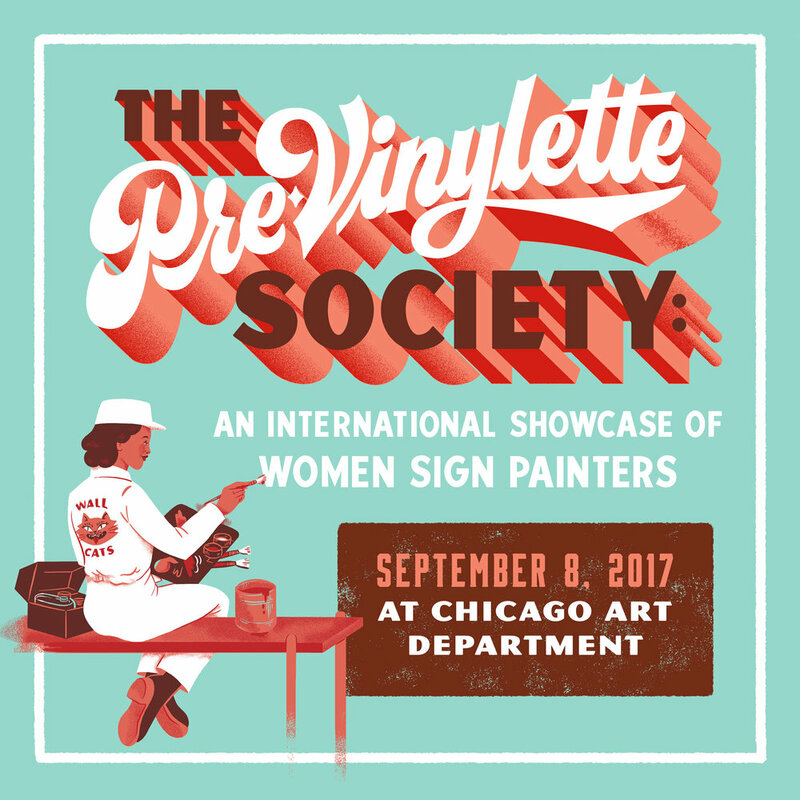 I am so excited to be part of the upcoming art show dedicated to women in sign painting, "The Pre-Vinylette Society" at the Chicago Art Department opening on September 8th. 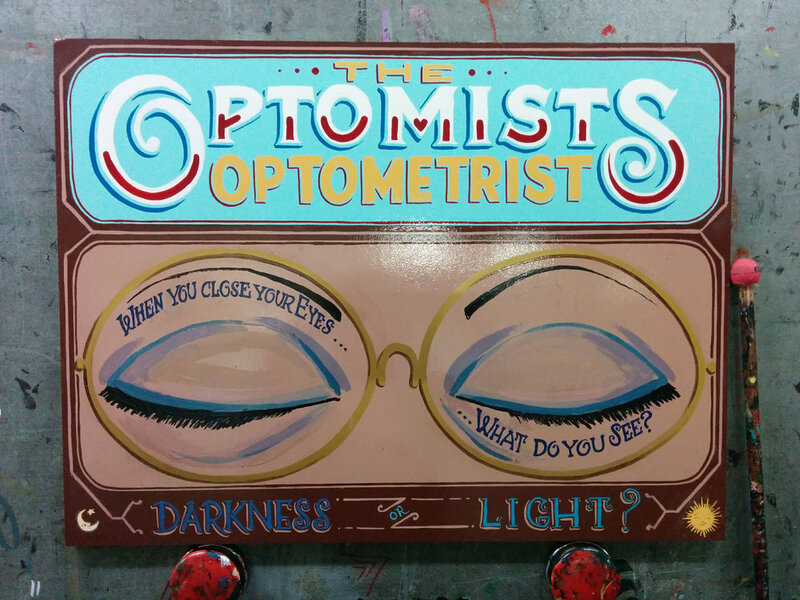 As someone who is married to a sign painter, (Damon Styer of New Bohemia Signs) I have been watching in awe as he creates such beautiful signs and lettering. Everything created in our shop is hand painted, and I jumped at the chance to be part of it all. Although, my job doesn't include much painting myself, (I am the assistant manager for the shop). I try to do as many little projects as I can. With a few butterflies in my stomach, I decided to challenge myself and do a sign for the show. 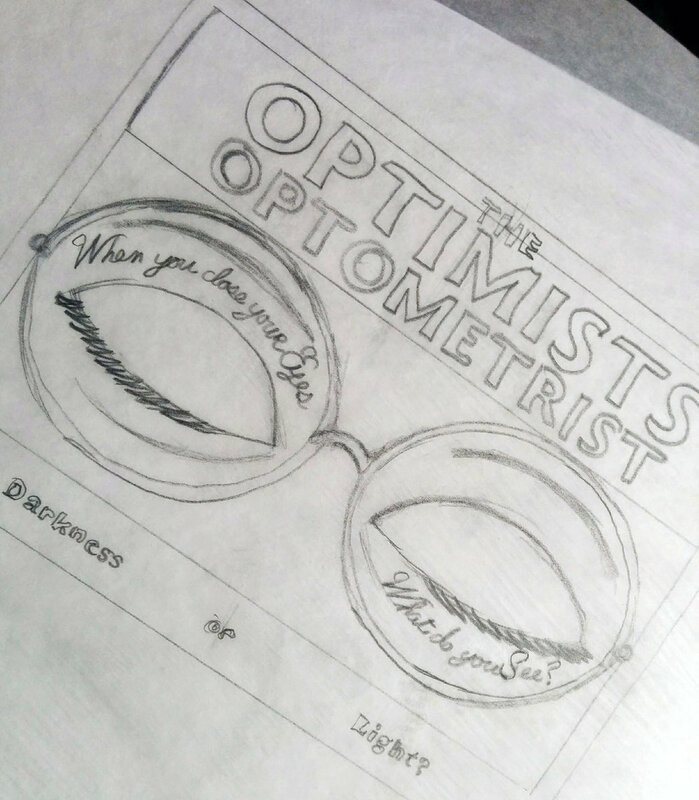 Here's the initial sketch for the painting. I made a few changes, fought with my brushes a bit, and go plenty of advice (and a little help) from my husband but finally came up with something I was proud of. As someone that has been painting most of my life, the biggest challenge of sign painting is getting used to the tools of the trade. We use 1-Shot enamel paints for 99% of all we do, and i must say it is very different from my usual watercolor paints. But I am still learning and will eventually figure out the "Muscle Memory" of using the brushes. If you happen to be in Chicago in September, stop by and see the show! Although I won't be able to make it to the show myself, I honored to have my work shown among such amazing and talented women. I would love to see the art of sign painting continue to grow. I will happily watch as more and more women get inspired to take up the brush. Here's to us all and good luck with the show! Update: Here's a super cool post on the show from Hyperallergic. 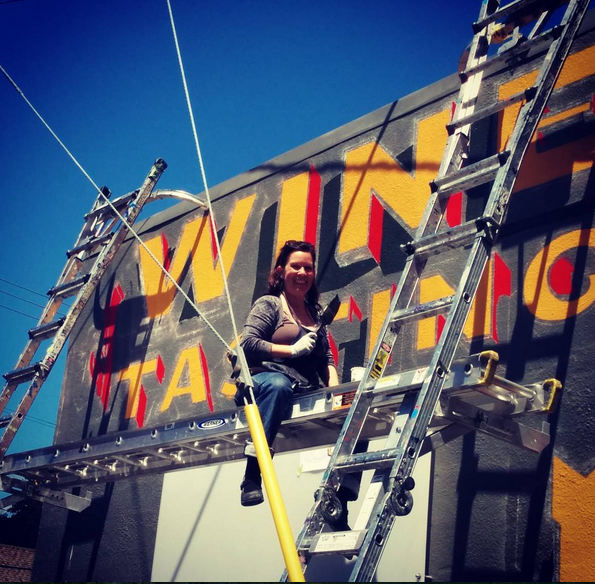 In blog, blogs posts Tags sign painting, Women sign painters, Pre-Vinylettes, #previnylettes #womensignpainters #previnylitesociety #wallcats. Thank you all for stopping by! Find out more about me and what I do here. My First Book is Here! Get it here on Amazon!